White Mere PTA is inviting Nursery, Reception, Year 1 and Year 2 to visit the amazing White Mere Santa’s Grotto. 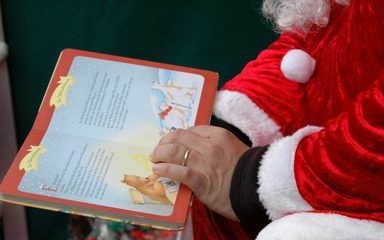 Children will be able to enjoy cookies and a glass of milk or hot chocolate in the grotto whilst Mrs Claus reads a festive story. They will then be able to individually meet Santa and receive a lovely gift. They will also get the opportunity to decorate a festive biscuit and do some lovely festive crafts. This event will be ticketed at the cost of £5, and will take place during school time on the morning of the 7th of December. If you would like your child to take part please return the form (found here) with payment in the envelope provided and return to your child’s teacher or the school office no later than Tuesday 4th December. If your child doesn’t wish to take part, they will simply stay in class and continue with their normal day. All money made from this event will go towards raising funds for our amazing KS2 yard development.